Iran, located in southwest Asia, is a country with the area of approximately 1,531,595 square kilometers and the population of about 79,926,270. The country from the north is neighboring with Azerbaijan, Armenia and Turkmenistan, from the east with Afghanistan and Pakistan, and from the west with Turkey and Iraq. Iran consists of the Iranian Plateau and t is one of the world's most mountainous countries. The populous western part is the most mountainous, with ranges such as the Caucasus, Zagros, and Alborz, the last containing Mount Damavand, Iran's highest point at 5,610 m (18,406 ft), which is also the highest mountain on the Eurasian landmass west of the Hindu Kush. Iran's climate is diverse, ranging from arid and semi-arid, to subtropical along the Caspian coast and the northern forests. every city in Iran has so many hotels in different levels, according to your interest and your budget. Besides these hotels, there are very beautiful houses and village house for your accommodation in different parts of the country. Kebab: it is grilled meet such as filet minion and chicken which is served in rice. Dizi: it is totally different with other foods. The ingredients are lamb, tomato, onion, potato, chickpeas and it is flavored by turmeric. Iran is a country which some rules about dressing are legal, but it does not show that all these rules are binding for tourists. The most important thing about covering is scarf for the ladies. All the women's body must be covered, for example you can wear a jean and a blouse (not very short) with scarf. 5What is the currency in Iran? Iran's official currency is Rial. However Toman is more common in the country. Toman is one tenth of a Rial. So. When purchasing if someone quotes 23000 Toman, it works to be 230,000 Rial. Most prices written on the item in the stores or restaurants or other places are in Toman. The tourists who travel to Iran can not withdraw any cash from ATM machines in the country. So the should bring cash only for entire stay. 6Do you want to know about the religion in Iran? around 90-95% of Iranians are Muslim and others are consisting Zoroastrians, Christians and Jews. 7which is the best season for coming to Iran? Iran is country with a variety of climate conditions. In spring (mostly in Farvardin & Ordibehesh, March 21 – May 30) the country is in a marvelous beauty. This season is the time of flourishing the blossoms and it has the best freshness of air. 8What to buy in Iran? 9How is the safety in Iran? any traveler who enters Iran will be warmly welcomed by Iranian guards, regardless of their religion, ethnicity or nationality. Be sure that as long as your stay in Iran, you are under our security. 10How is the process of visa for Canadian, American or British nationalities? the first advice for citizens of the mentioned countries, is to apply for their Iran visa 2-3 months before their trip. 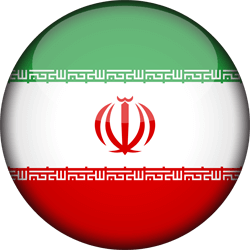 Before applying for a visa, American, Canadian and British travelers must obtain an authorization code for the Iranian ministry of foreign affairs. 11How to speak in Iran?